Usually, when you read about nanotechnology or see it depicted in Hollywood movies, it involves tiny machines or micro-robots doing incredible things. But the first piece of nanotechnology that actually breaks through to mainstream use will likely operate differently. Instead, it will be an amazing consumer product that, after application, makes your car look like it just rolled off the lot, freshly painted and waxed, for as long as you own it. In just a few years, “Nano Ceramic Coatings” have quickly grown in popularity to become one of the top-selling vehicle paint protection products in America, even if the vast majority of the nation has no idea what it is. The advanced nanotechnology is gaining fast on wax, and by 2020 may make car waxing obsolete. 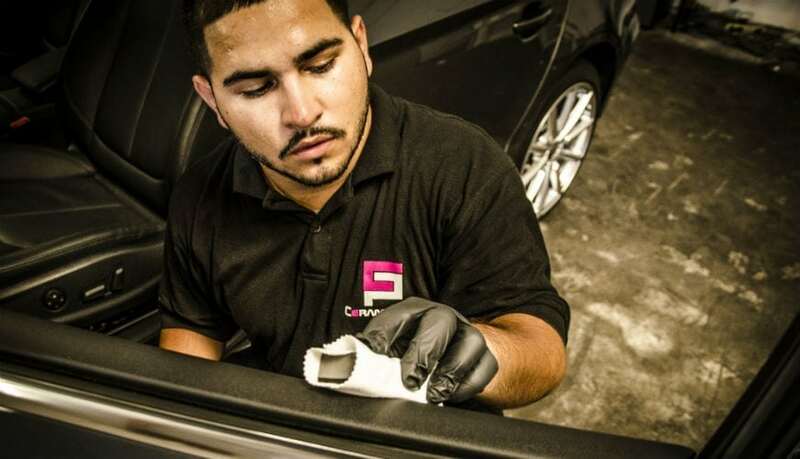 A nano-ceramic coating is a liquid polymer, applied by hand to the exterior of a vehicle. The coating bonds with the vehicle’s factory paint, creating a layer of protection that will not wash away or break down. It won’t wear through the years and can only be removed through abrasion. Additionally, it does not require repeated applications on a monthly basis. All products in the space offer everything from six months to a lifetime of durability, depending on the type of install and formula. Still, until very recently, a ceramic coating treatment would definitely be considered an investment: a full professional ceramic coating of a vehicle costs a car owner roughly $1,000.00 and is guaranteed to last the vehicle’s lifetime. In the last year, new lower-cost “do it yourself ” nano-ceramic coating products have entered the marketplace and may end up providing a mainstream breakthrough. One low-cost competitor to Ceramic Pro is a DIY nanoceramic coating product called “HydroSilex,” which doesn’t need a professional to apply, can be done at your own home, and only takes ten minutes to complete. It needs reapplication every six months and doesn’t come with the warranty you’d receive had you invested in the Ceramic Pro treatment. However, HydroSilex does introduce drivers to nano-ceramic coating at a very accessible price point. The best scenario for a car owner might be testing the waters with HydroSilex and seeing the results for themselves. If they’re impressed, then they can step up to a permanent coating treatment by a professional for a long-term solution. Previous article Where Does The Star Wars Franchise Go From Here?